On the disc 1 main menu, choose 'website addresses'. 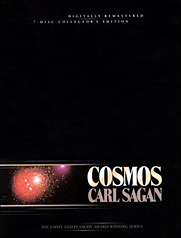 Press left and the Cosmos Studios logo appears. Press enter to see a 4.5 minute preview/promotional video for the series.